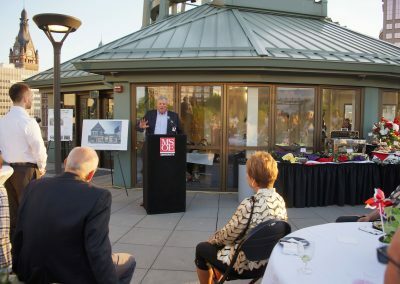 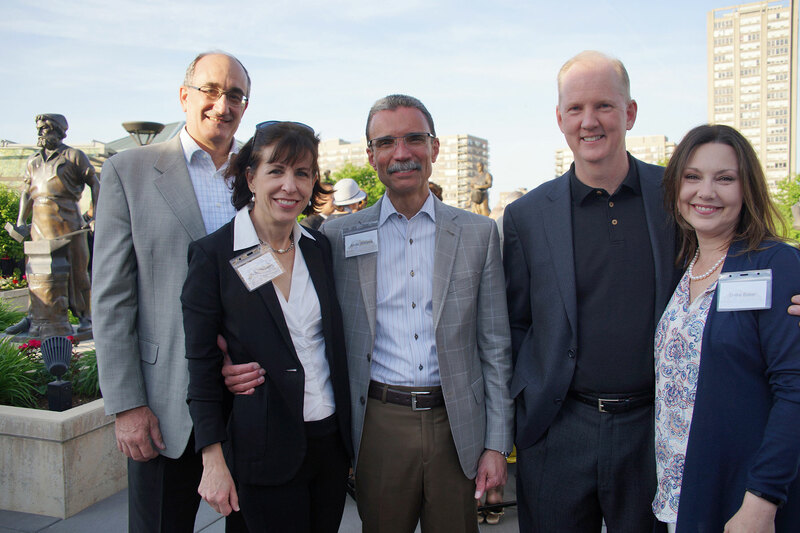 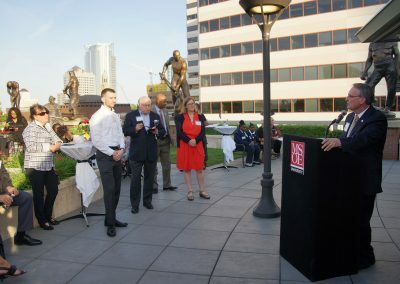 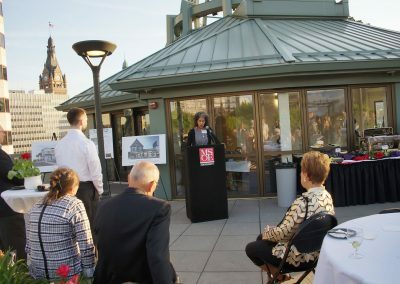 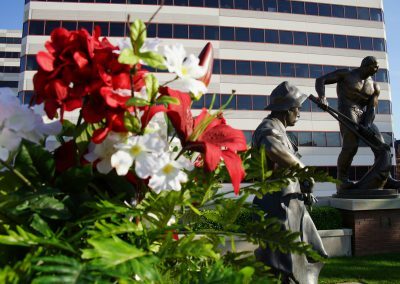 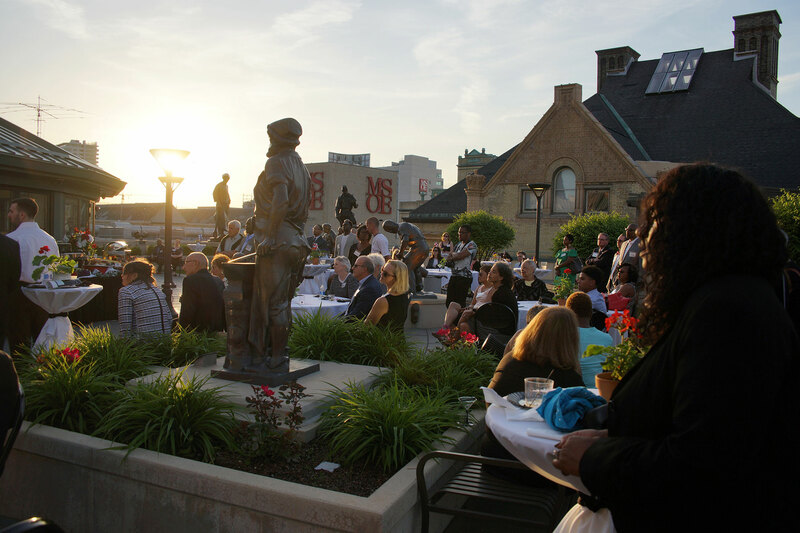 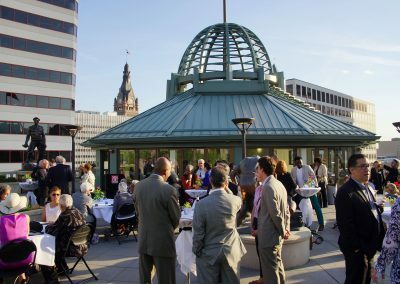 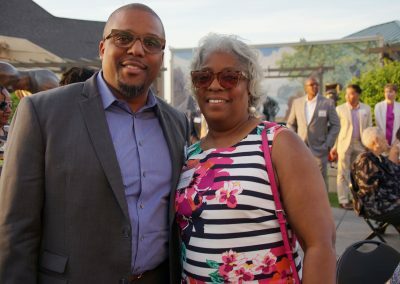 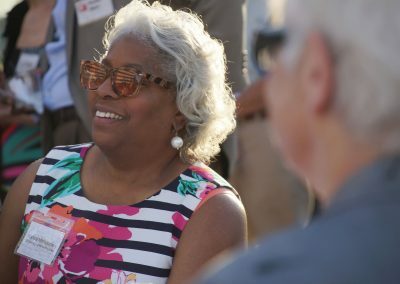 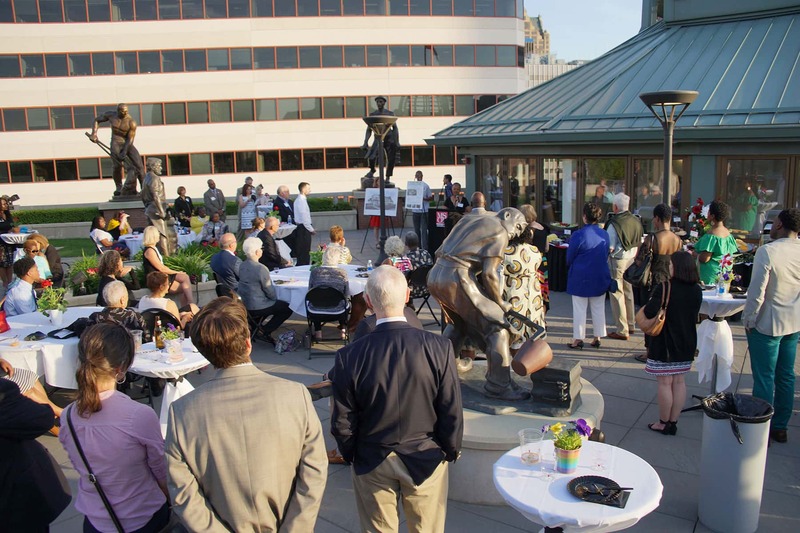 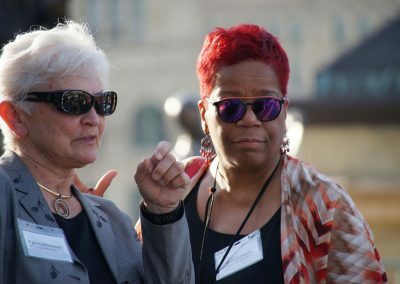 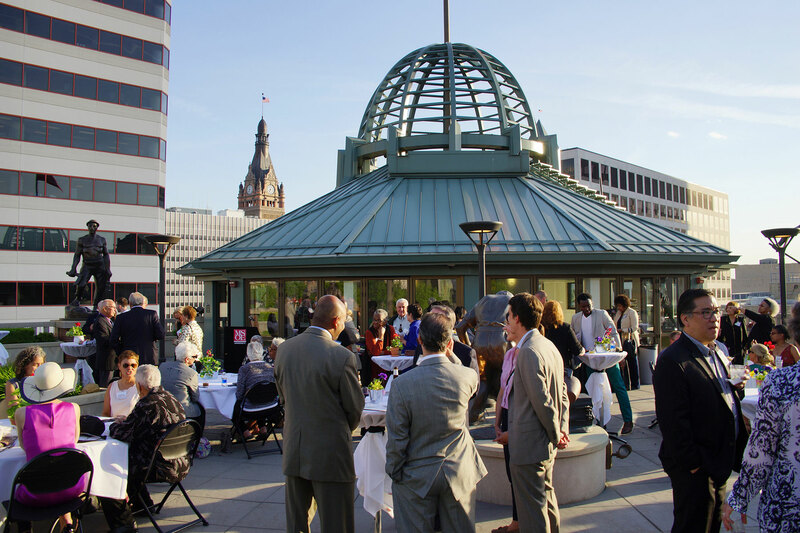 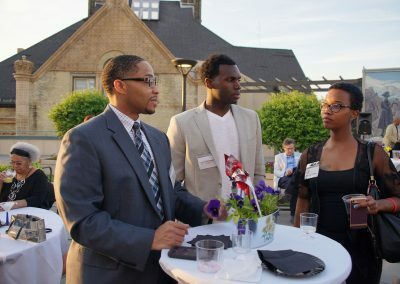 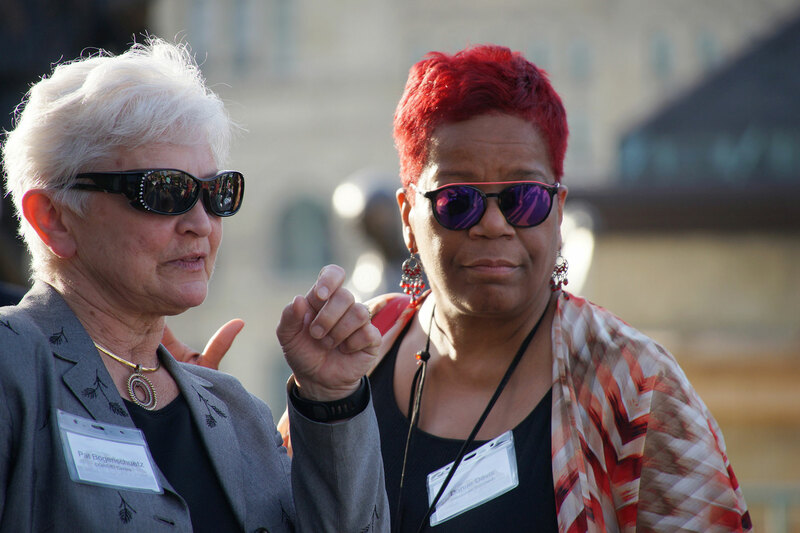 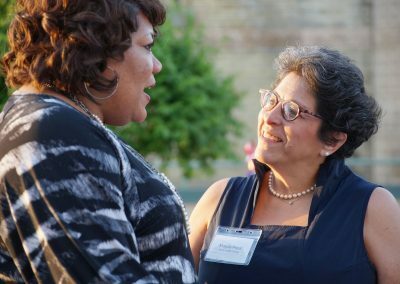 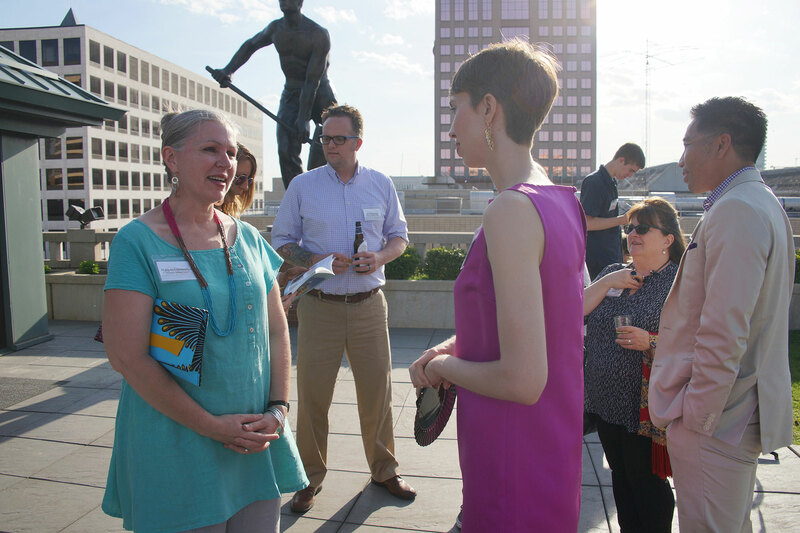 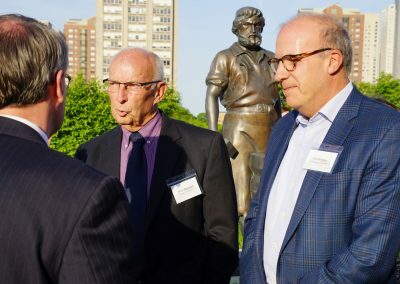 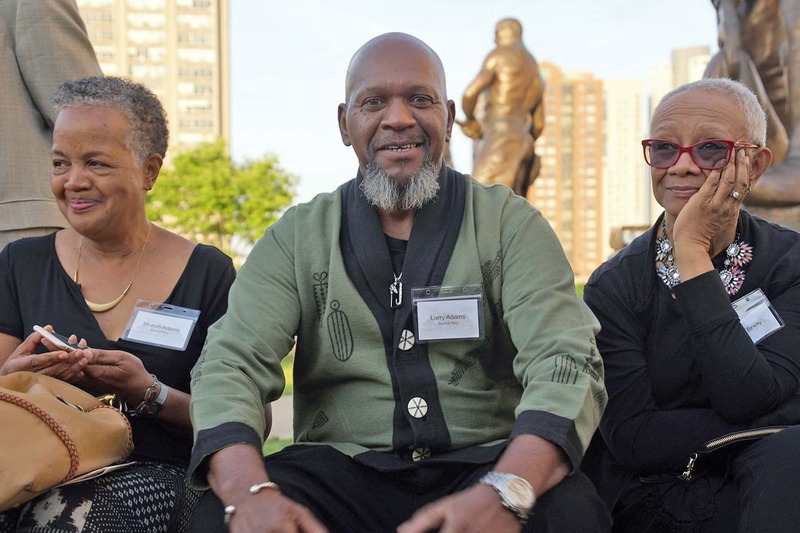 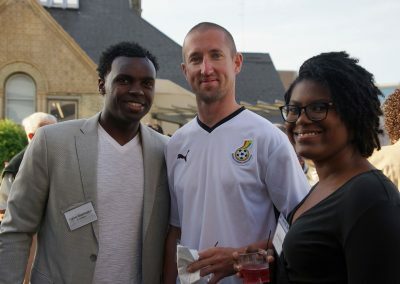 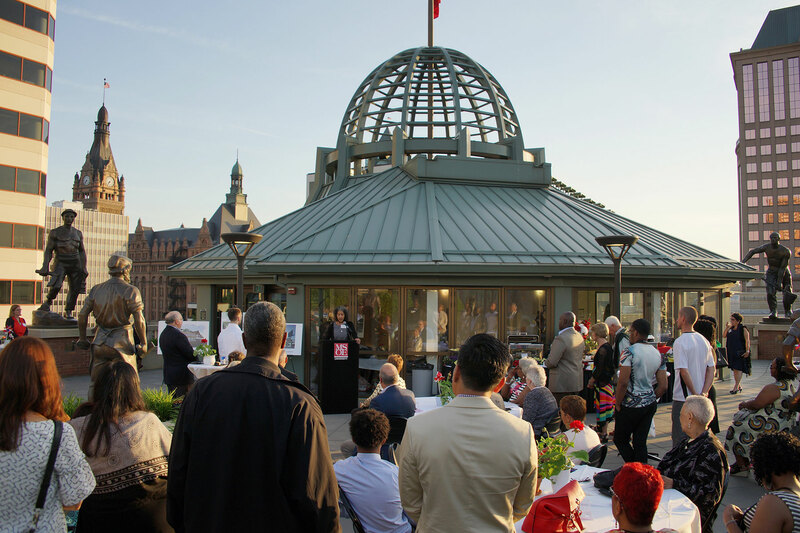 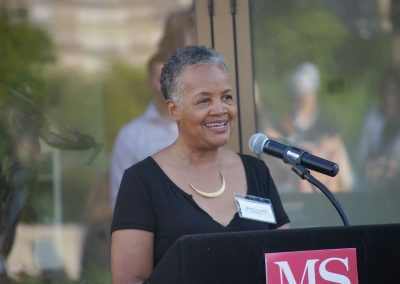 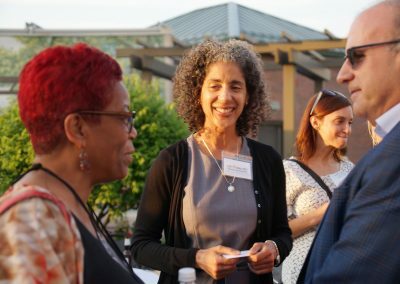 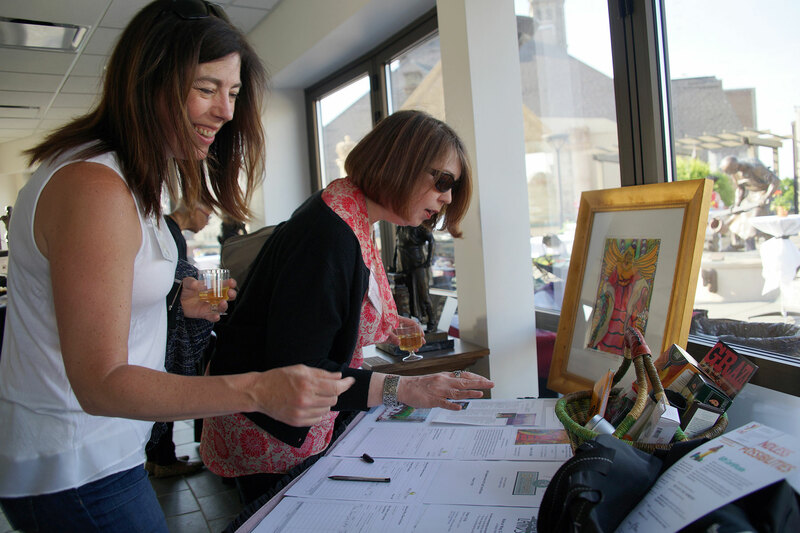 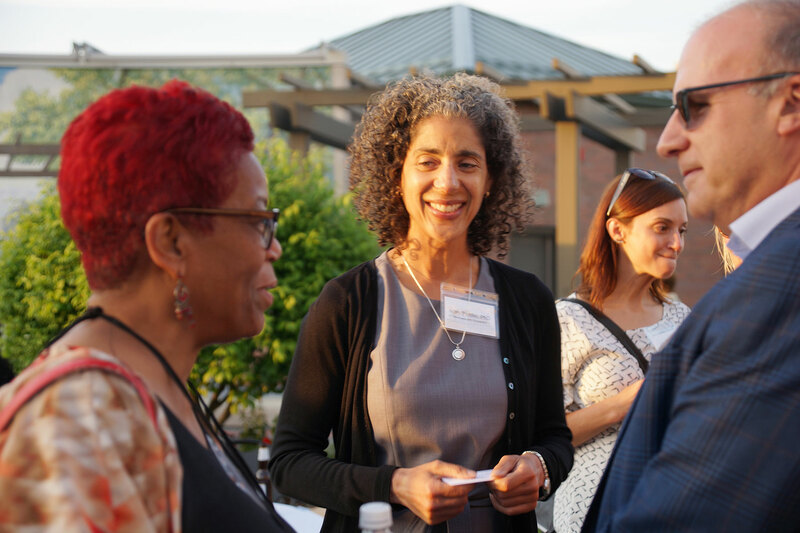 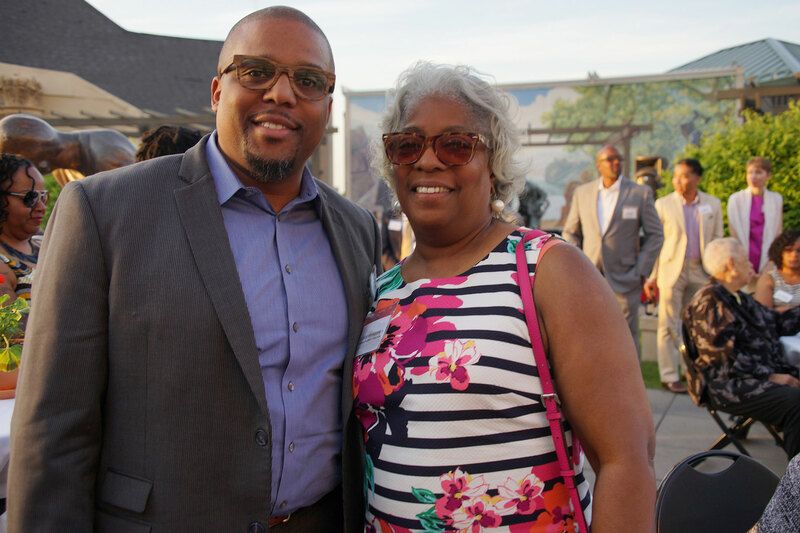 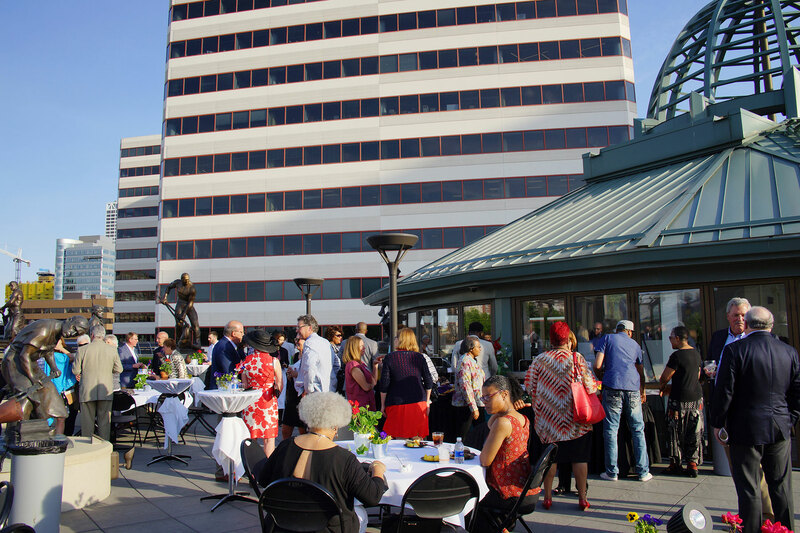 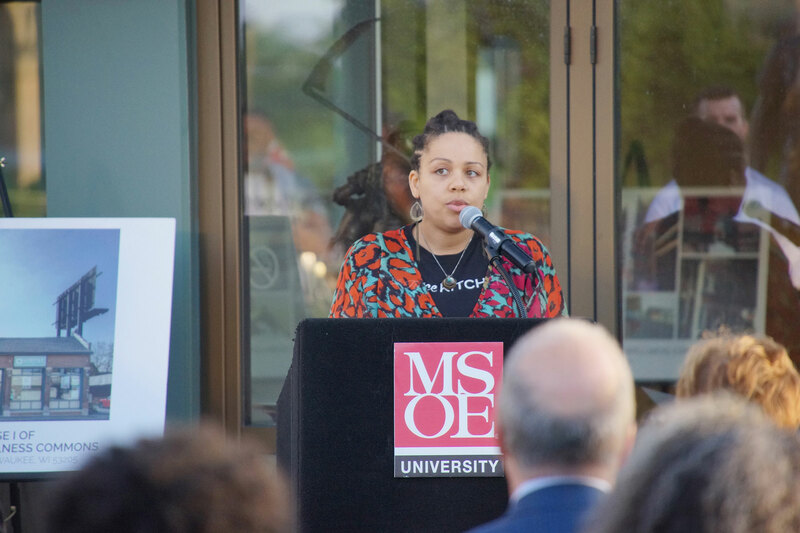 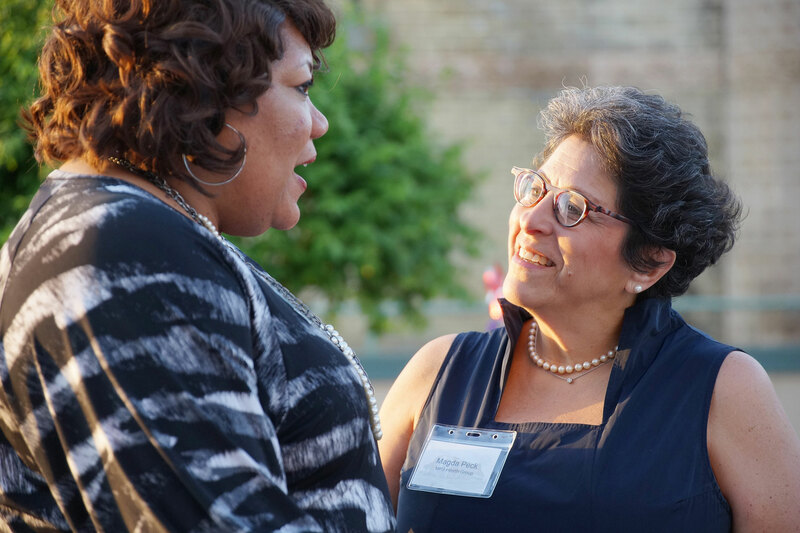 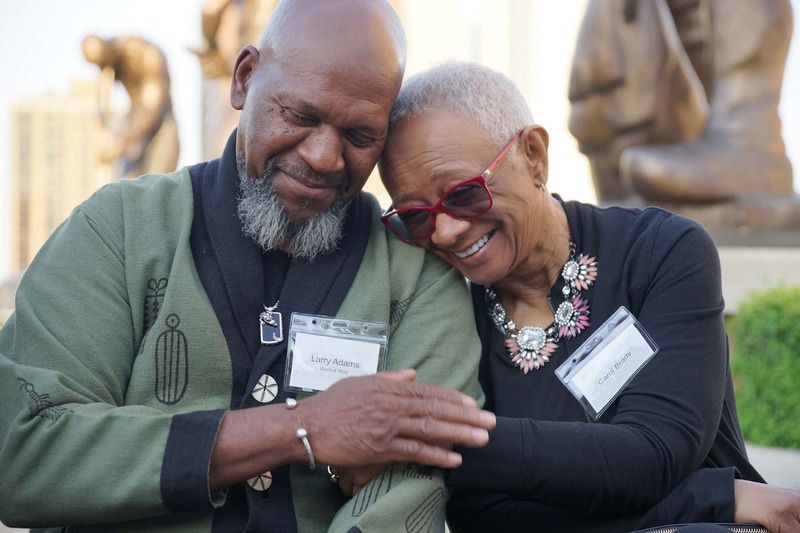 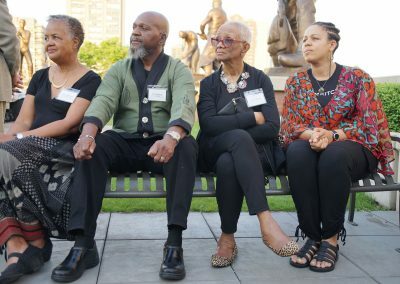 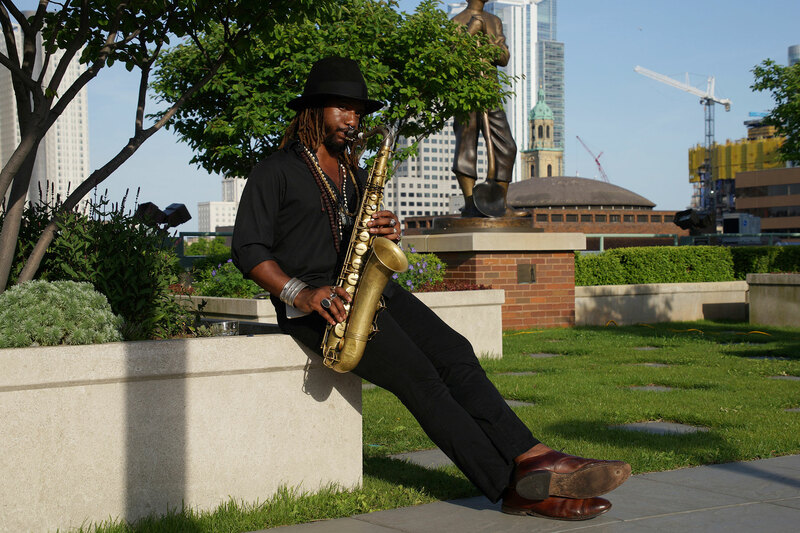 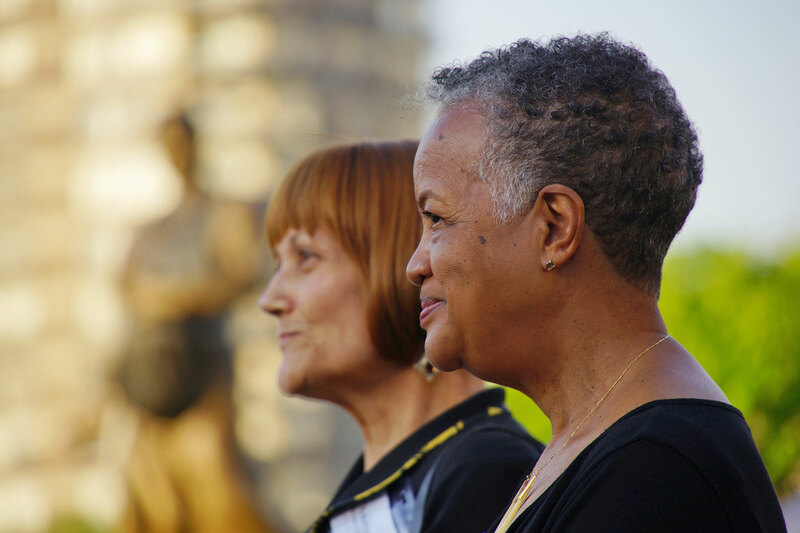 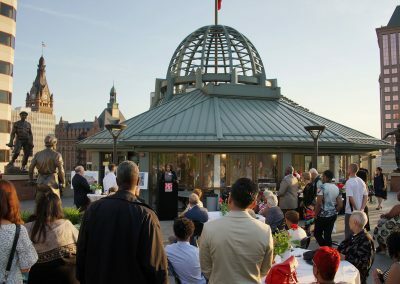 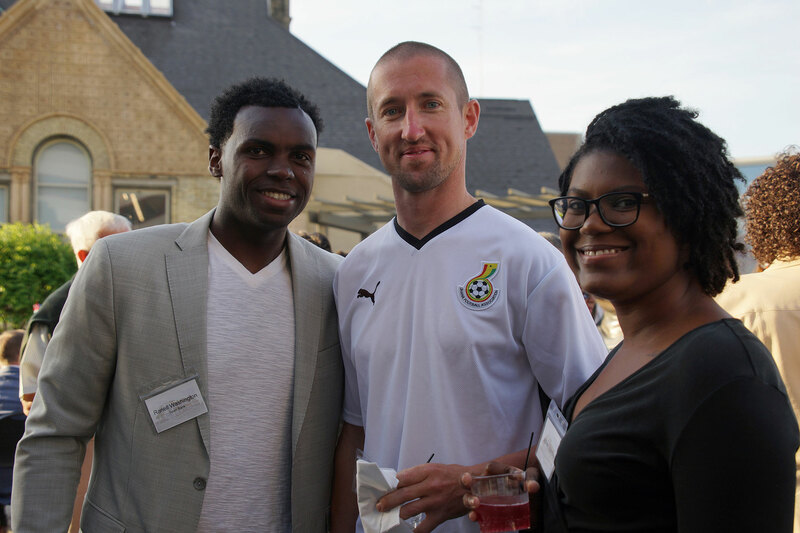 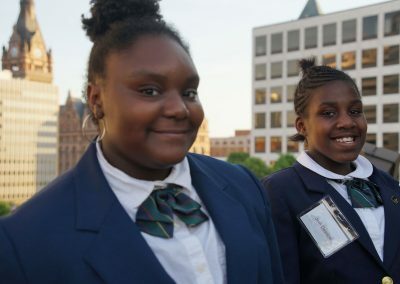 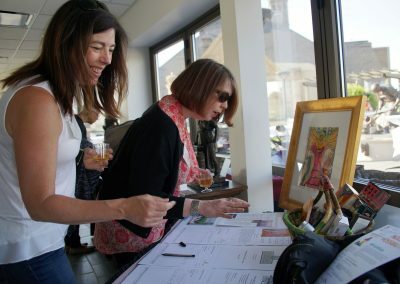 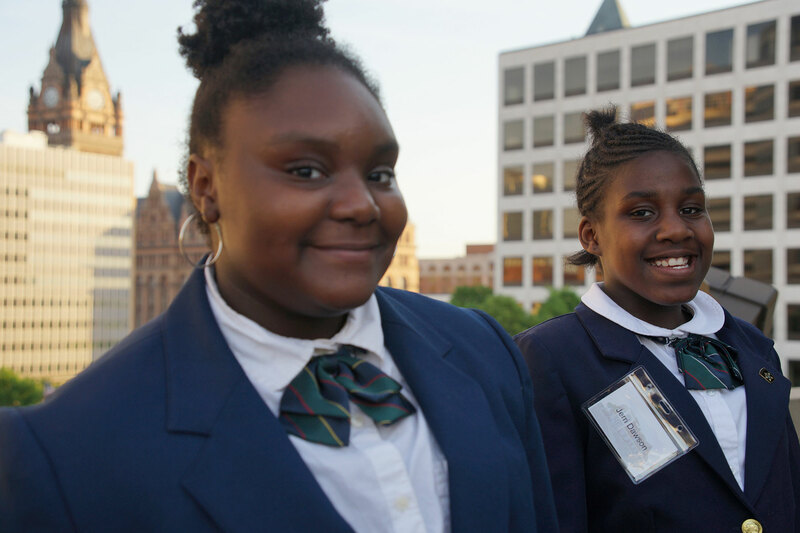 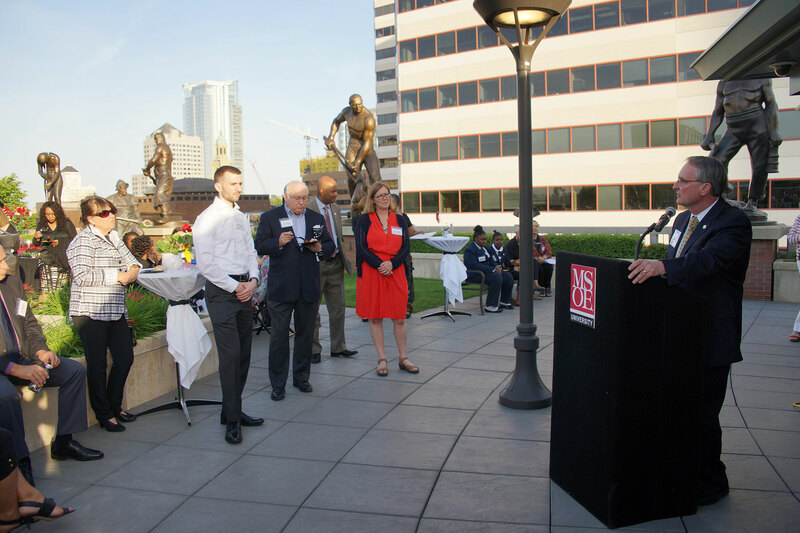 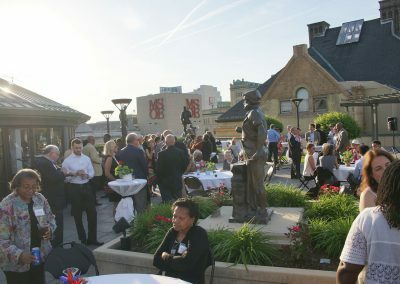 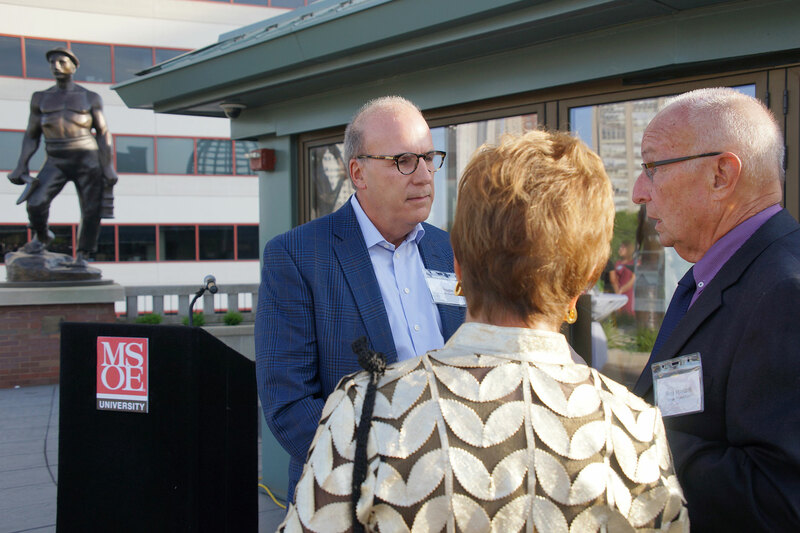 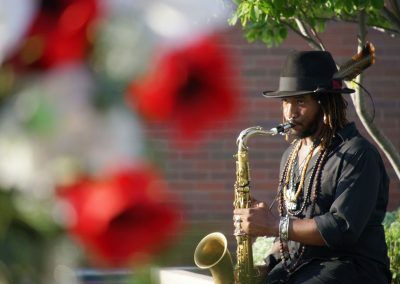 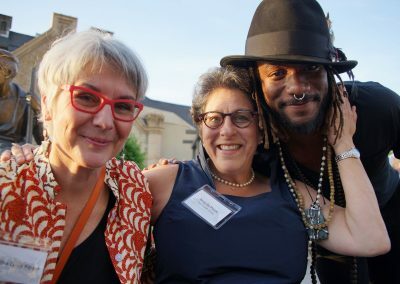 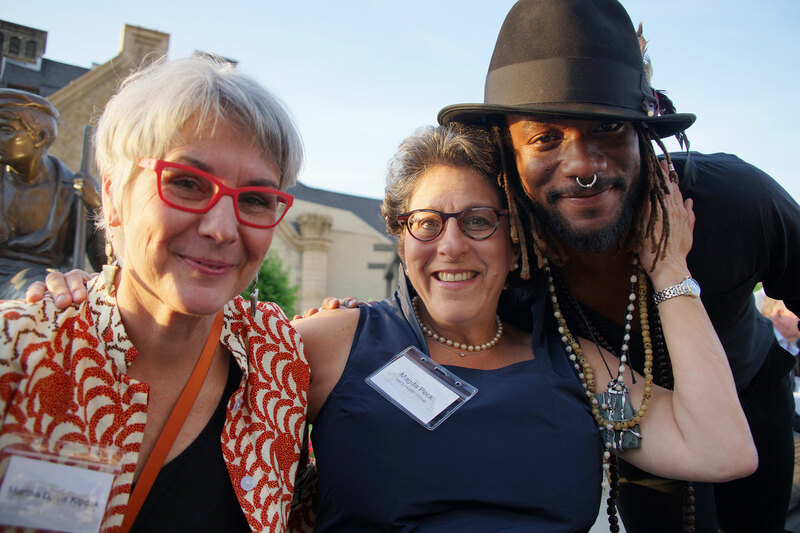 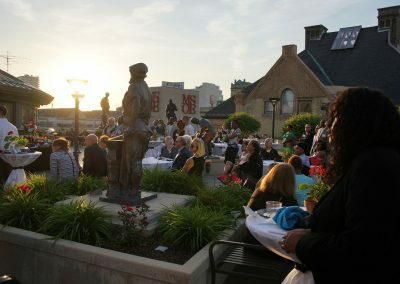 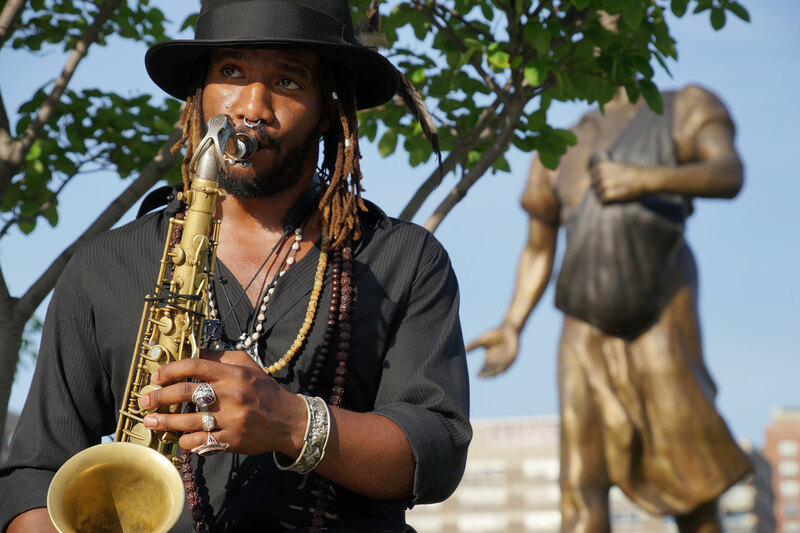 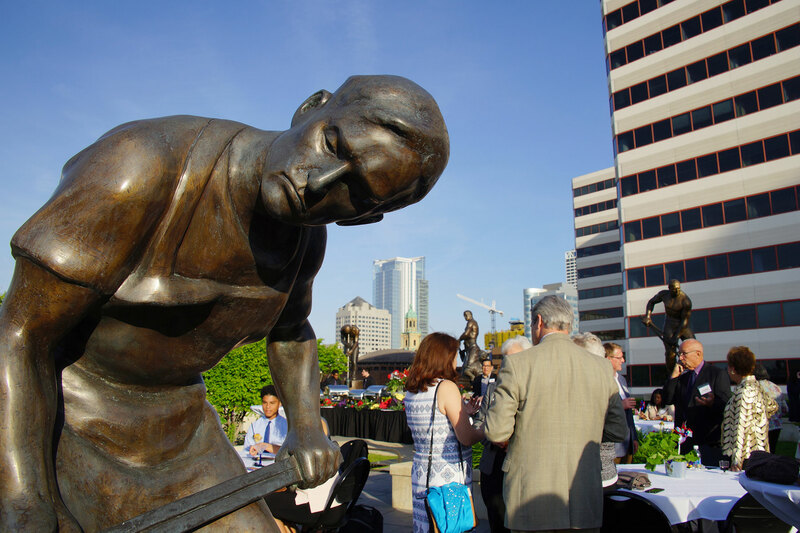 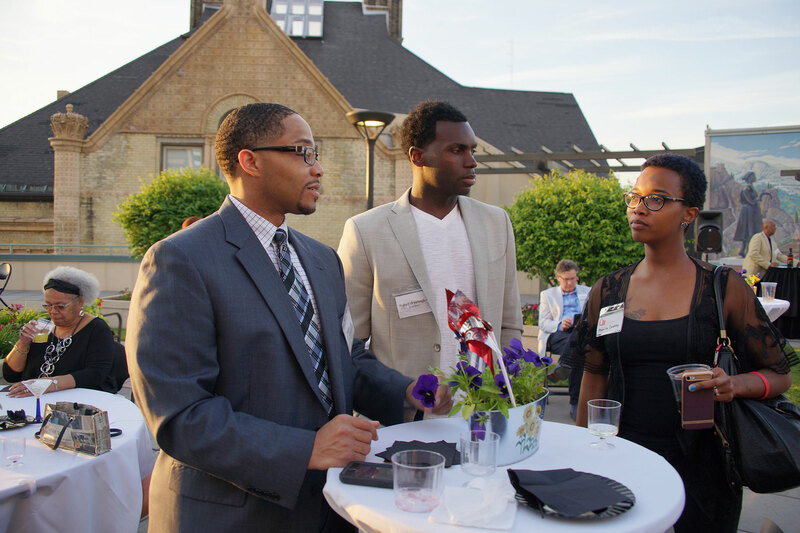 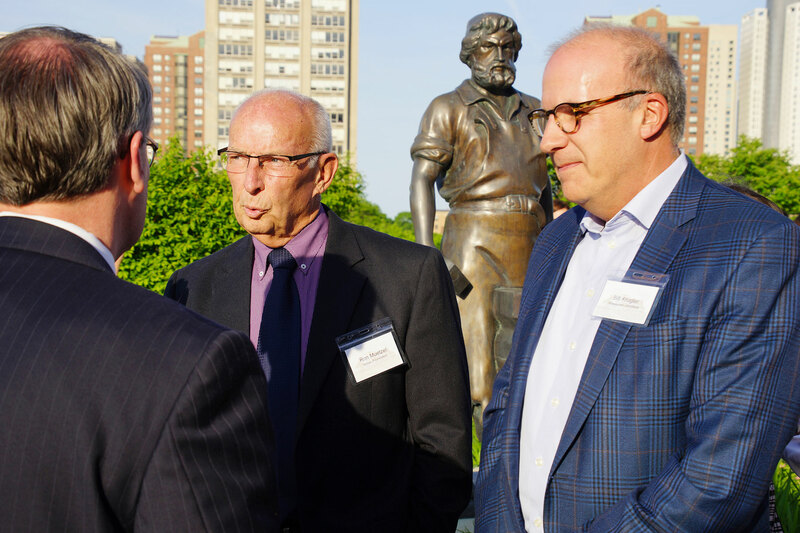 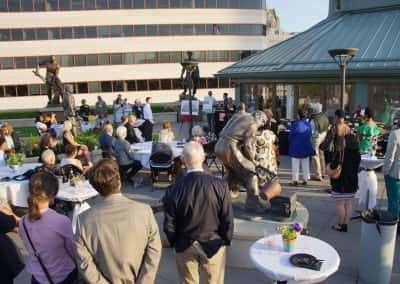 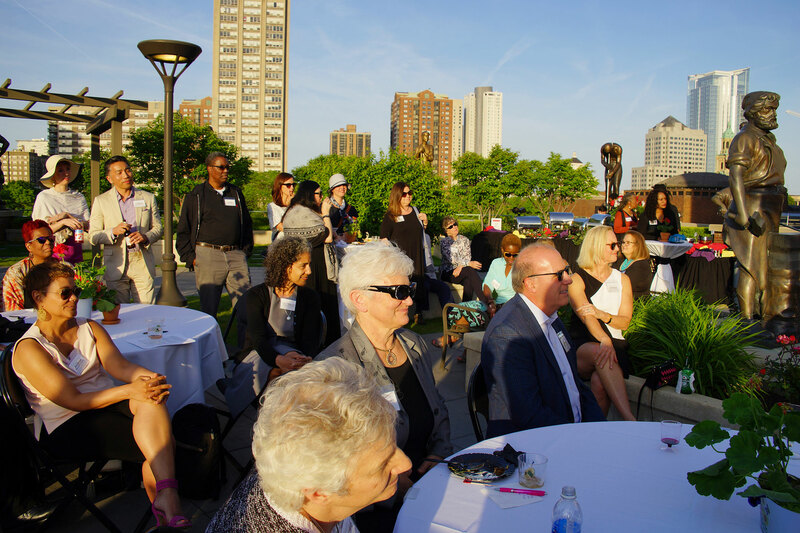 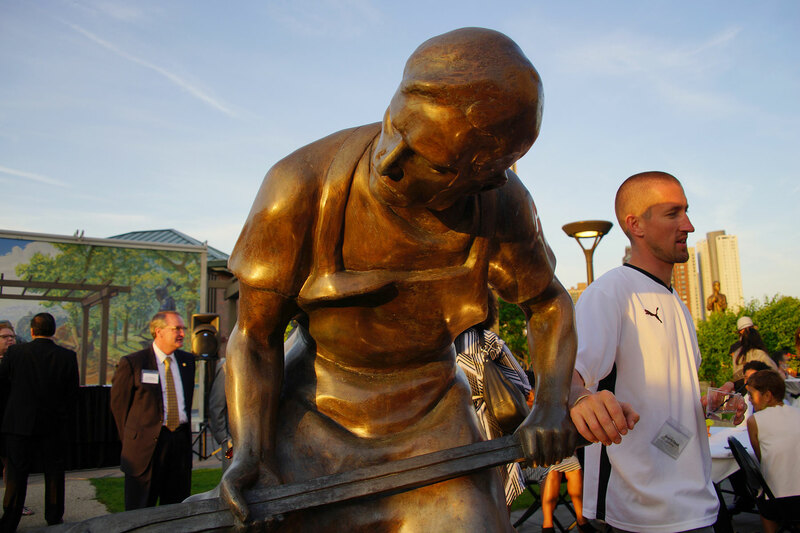 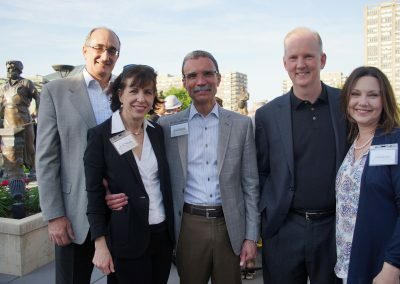 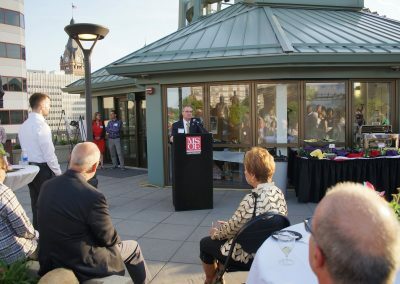 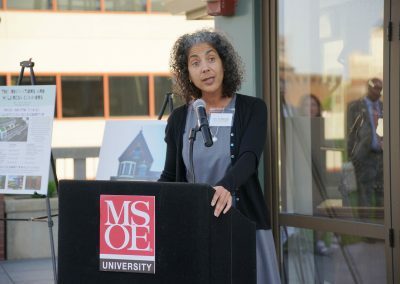 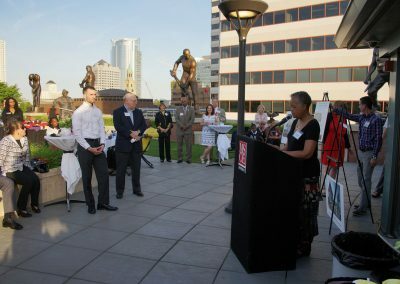 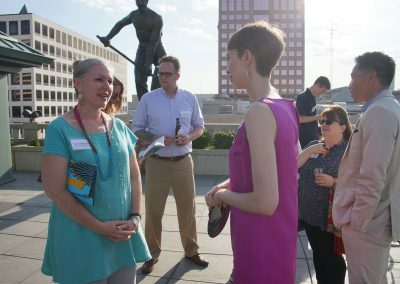 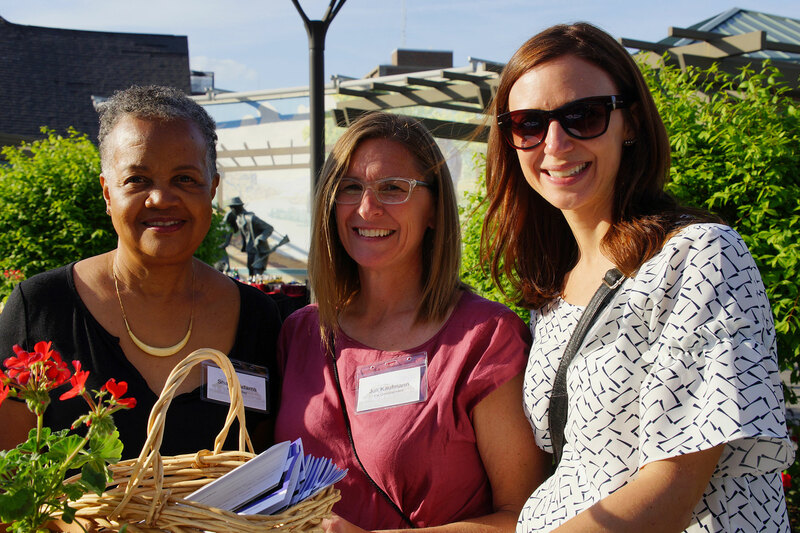 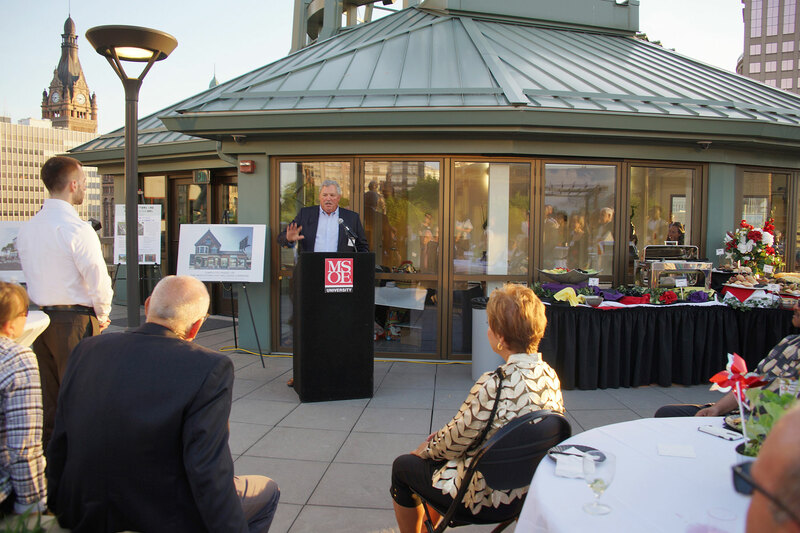 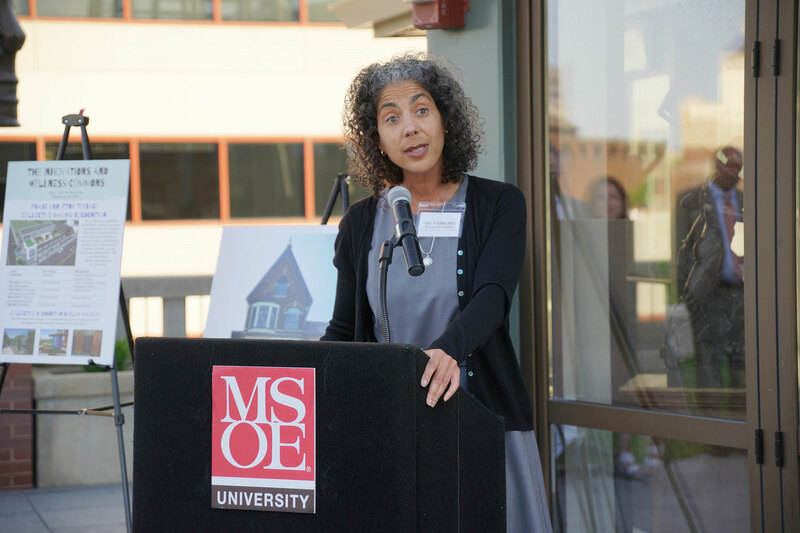 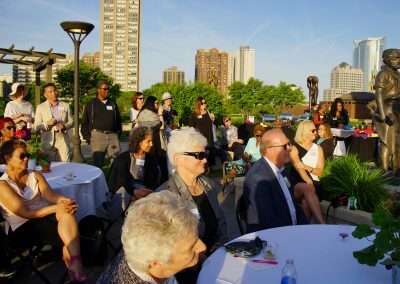 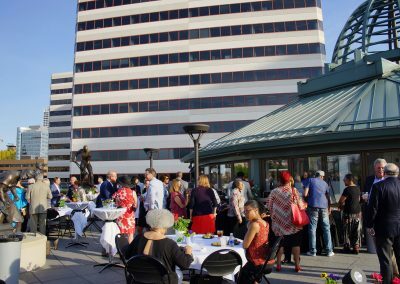 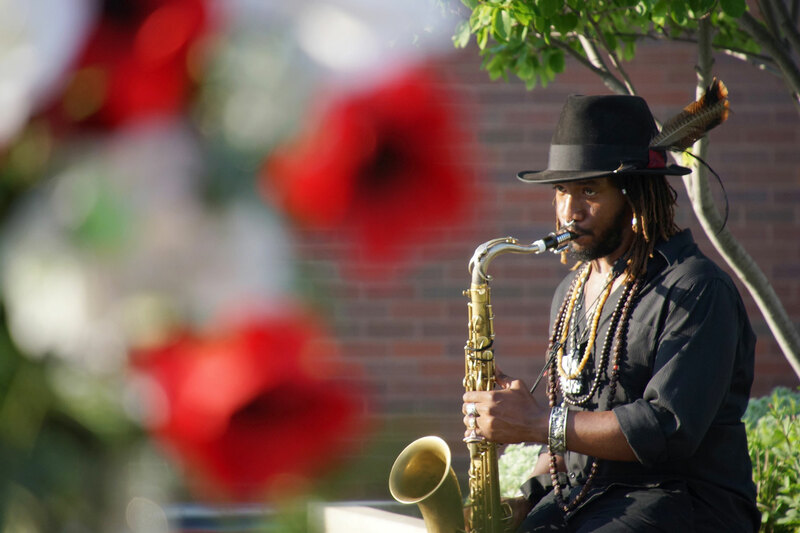 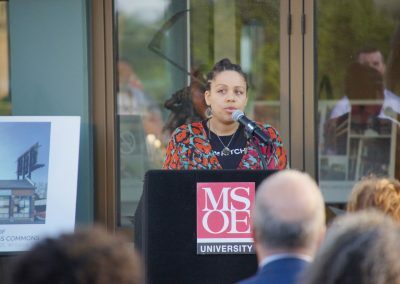 The MSOE Grohmann Museum hosted a special fundraising event at its Rooftop Sculpture Garden on June 2, helping to accelerate interest and support for Phase II of the Walnut Way’s Innovations & Wellness Commons in Milwaukee’s Lindsay Heights neighborhood. 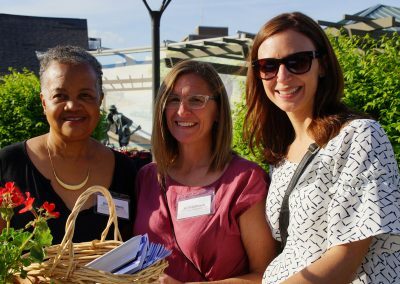 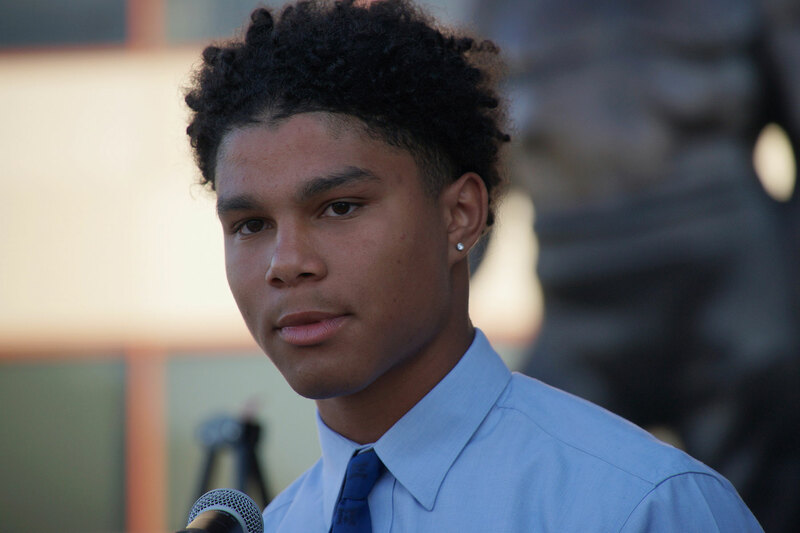 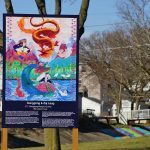 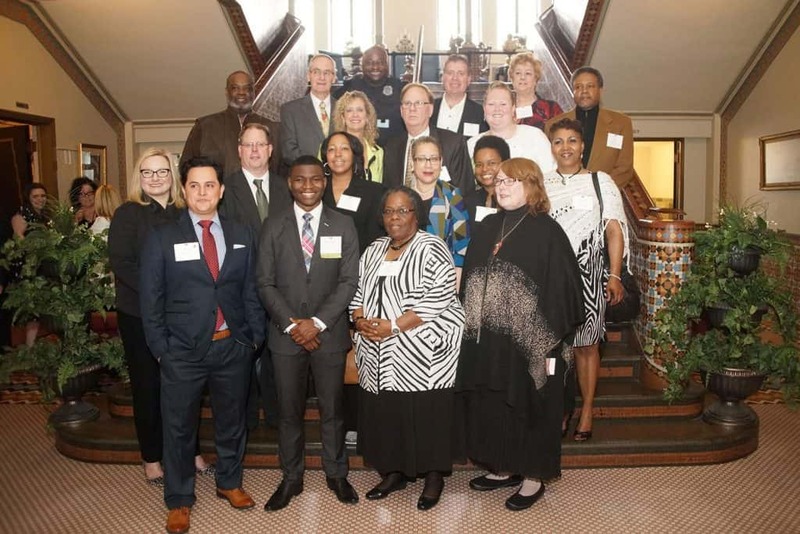 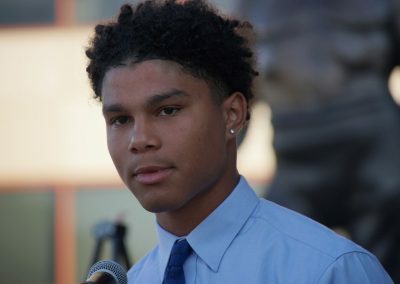 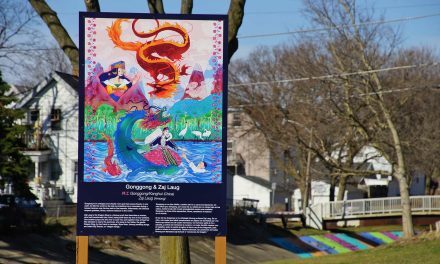 Community leaders and neighborhood stakeholders celebrated a list of accomplishments from Phase I of The Commons development, as the project sought support from attending guests to move forward with the next stage of its plan. 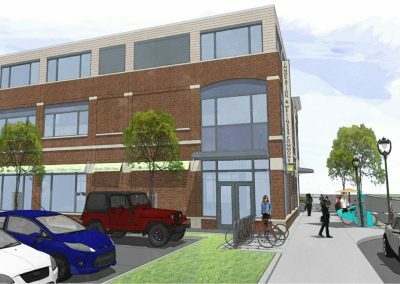 Developed by the nonprofit Walnut Way Conservation Corp., Phase II is a new construction that will be built on the parking lot adjacent to Phase I. 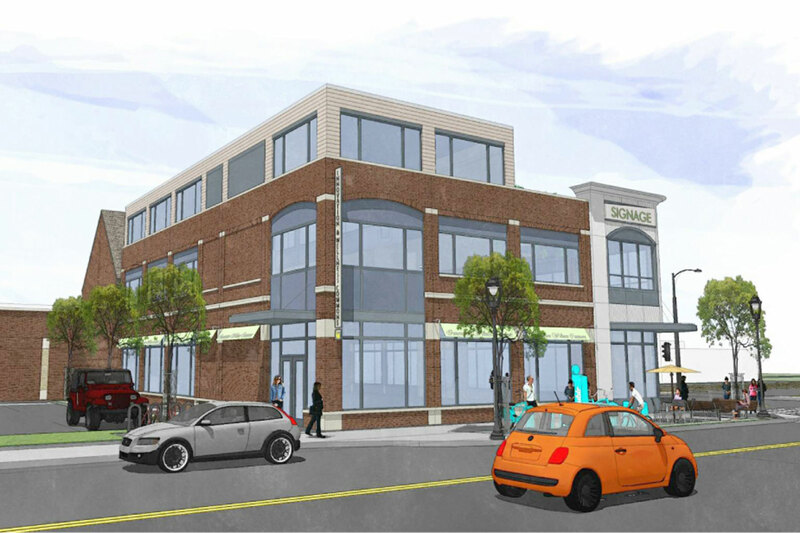 It will cover 11,500 sq. 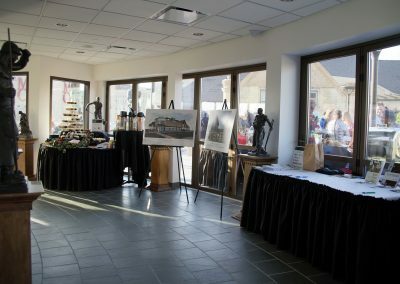 ft. and also include a 2,000 sq. 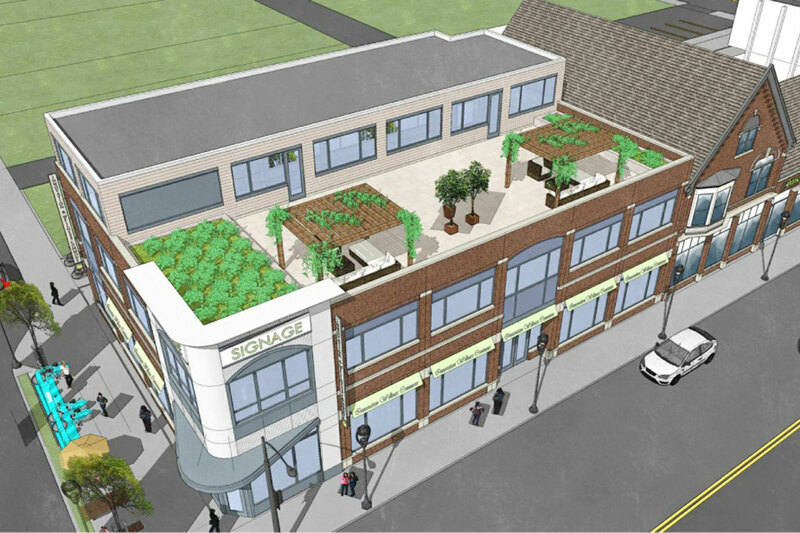 ft. rooftop terrace overlooking W. North Avenue, that will serve as a community gathering area for up to 130 people. 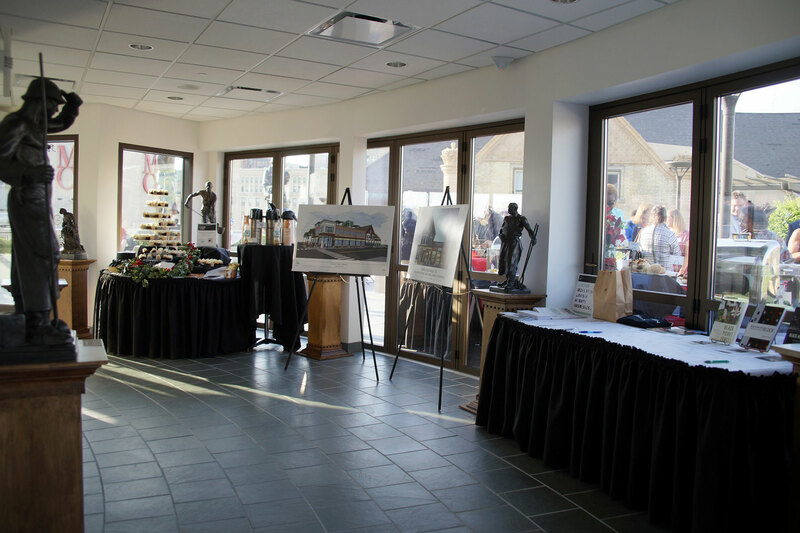 The total cost of Phase II is $4.2 million. 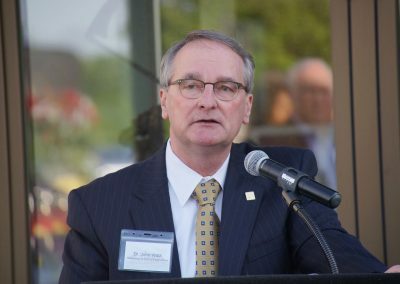 So far $2.8 million has been raised, with $1.4 million more required to begin construction for a Fall 2018 completion. 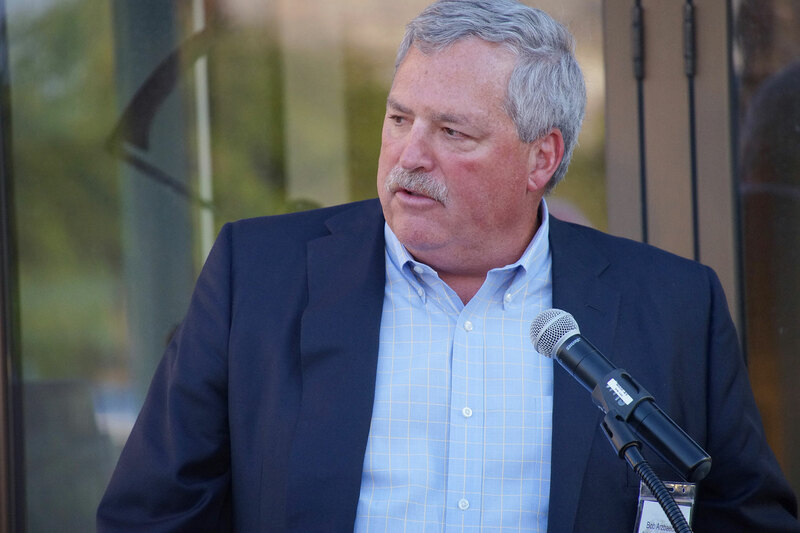 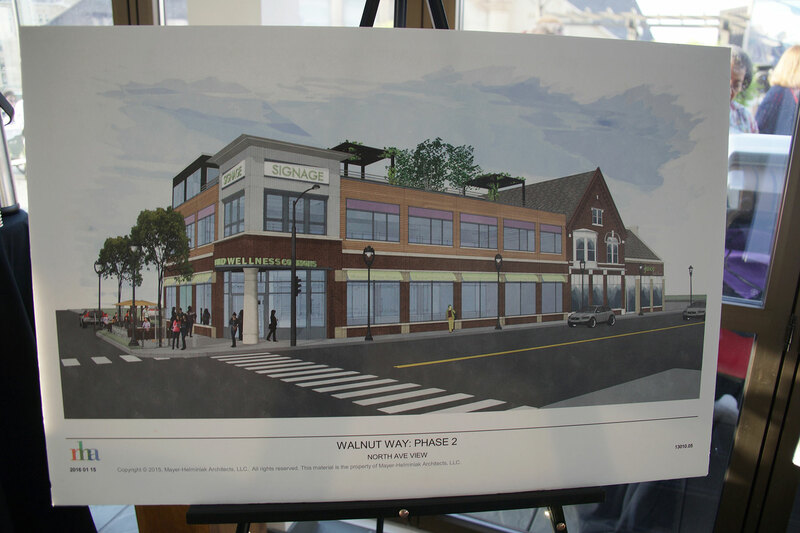 To finance the project, Walnut Way created an innovative, cooperative-based funding model that uses a combination of philanthropy, federal and state grants, and community support. 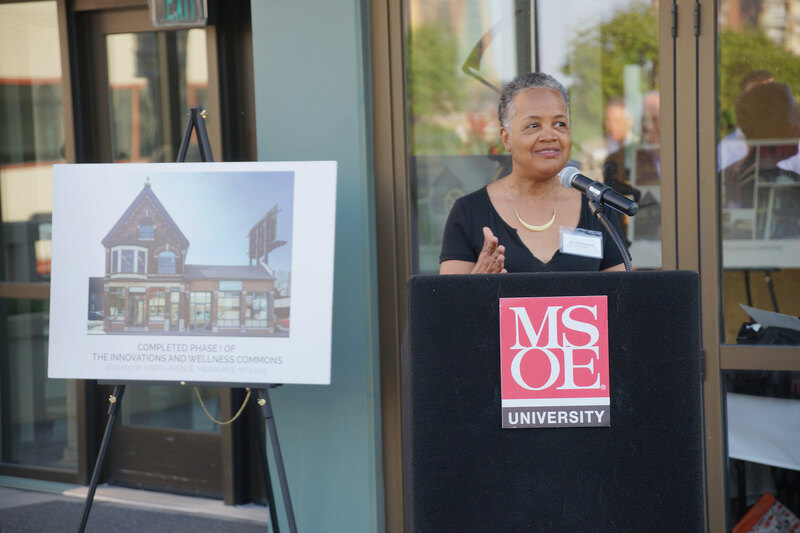 Phase II of The Commons will focus on creating a hub of like-minded tenant-partners offering entrepreneurial and workforce development, integrative health and wellness services, STEM learning opportunities, a coffee house and bakery, and event spaces that foster community engagement. 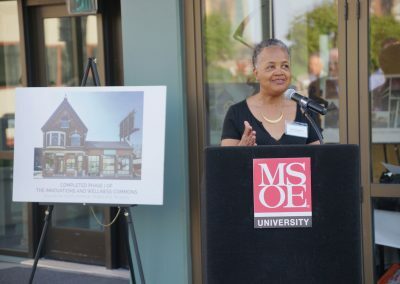 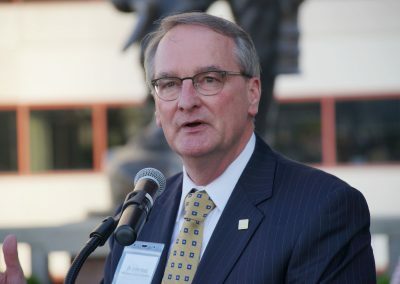 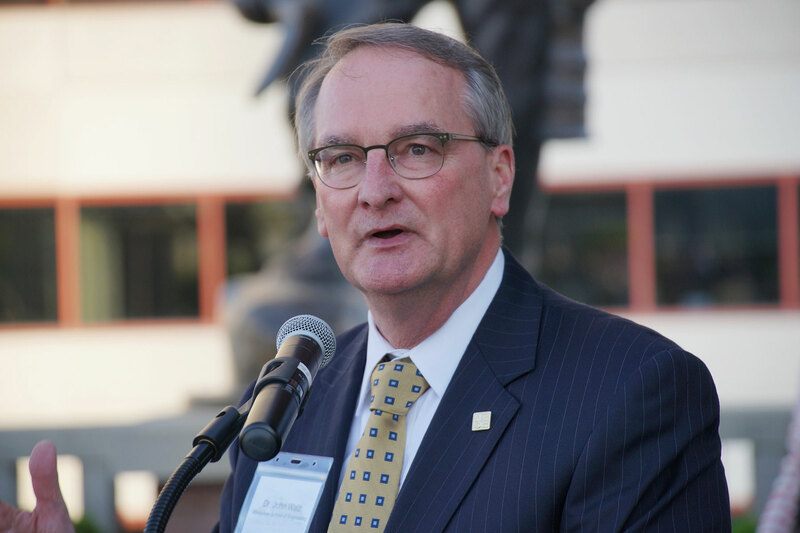 Co-Founder of Walnut Way Conservation Corp., Sharon Adams, was introduced by Dr. John Walz, President of MSOE, with some background of the University’s formation. 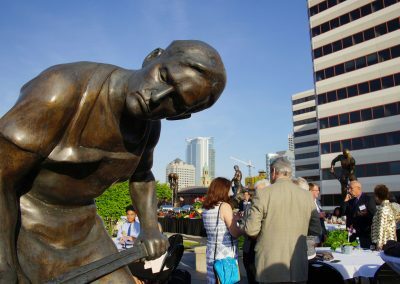 In 1903, a young German immigrant named Oscar Werwath saw the need for a school to train engineers to meet the demand of the growing industry around the city of Milwaukee. 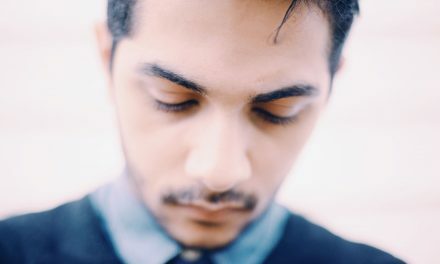 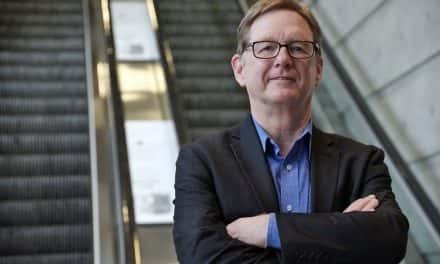 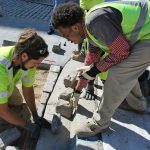 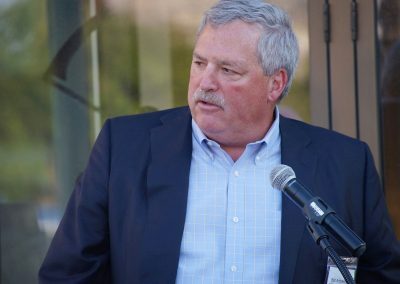 In a modern age of push-button technology, it is easy to overlook the important role that hard work by skilled laborers played in building the community. 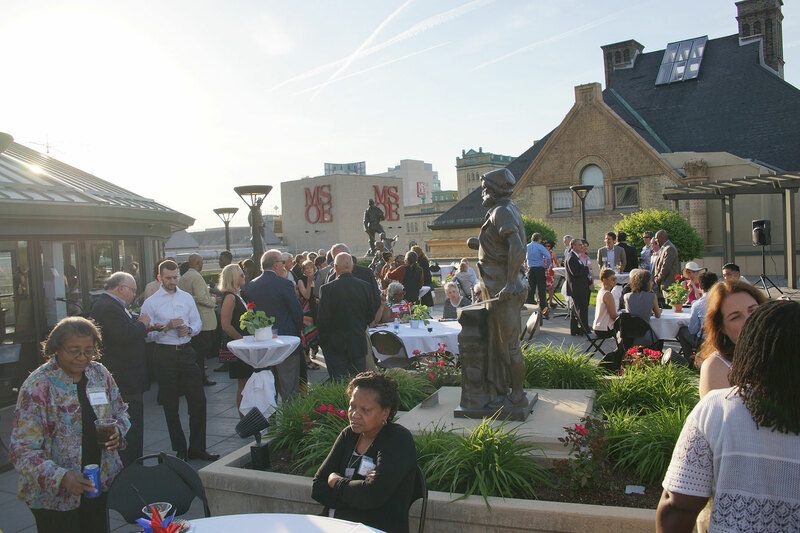 Lindsay Heights is a 110-bock neighborhood just north of Milwaukee’s downtown, and the section of W. North Avenue between I-43 and W. Fond du Lac Avenue was once a thriving commercial district. 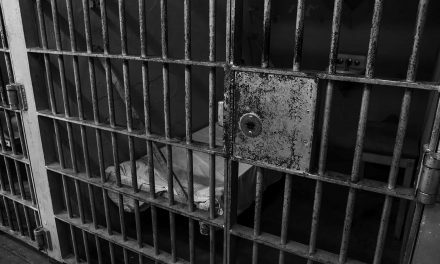 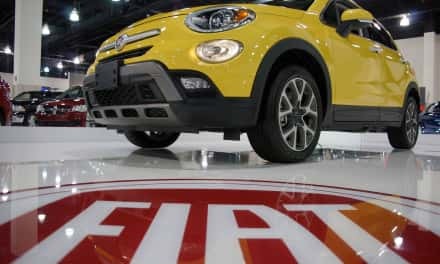 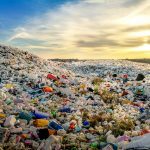 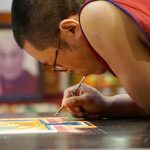 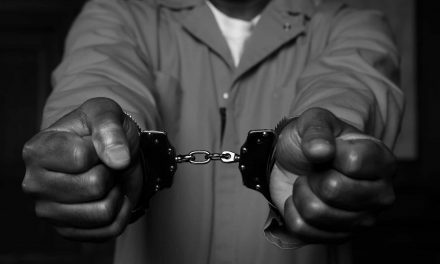 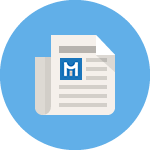 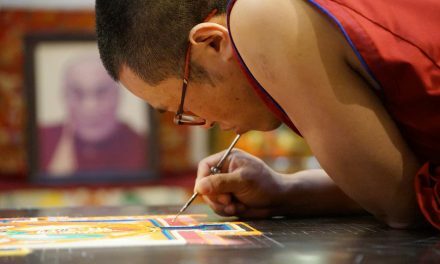 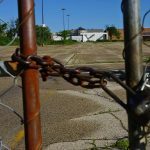 By the 1960s, however, the good fortune of the area dissolved from many social and political factors that maintained a downward spiral for the following decades. 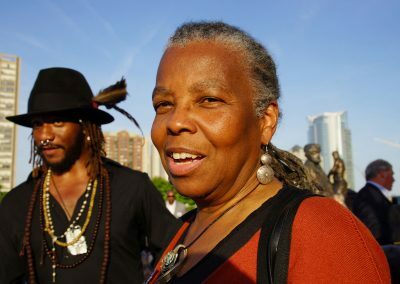 A positive shift did finally began around 2000, to reclaim and redevelop the economic health and vitality of the community. 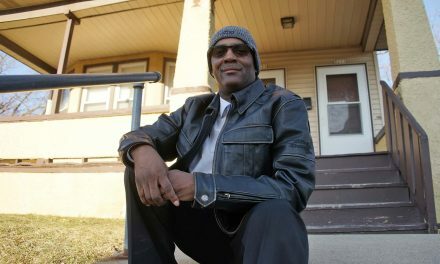 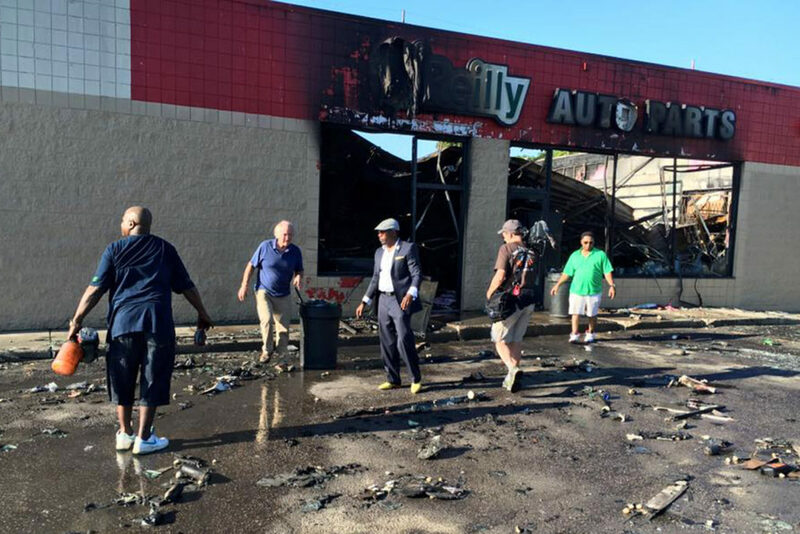 It did not come from any government initiative, but the neighbors themselves who came together to form Walnut Way. 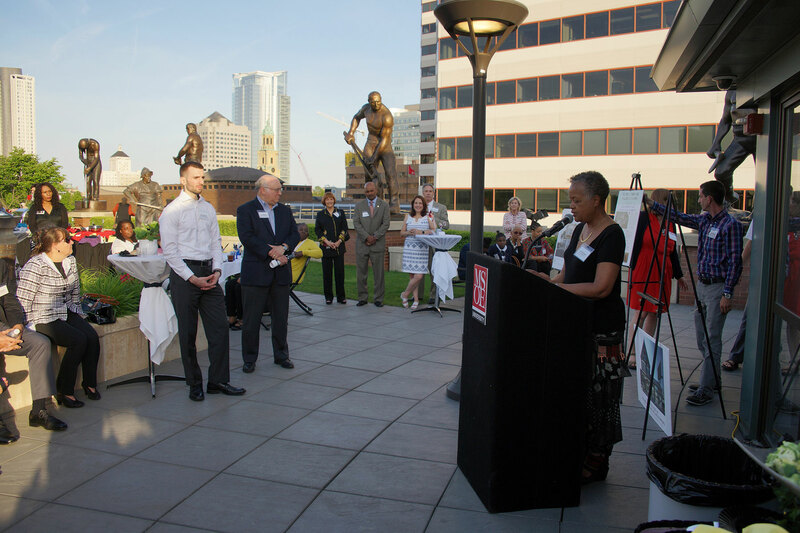 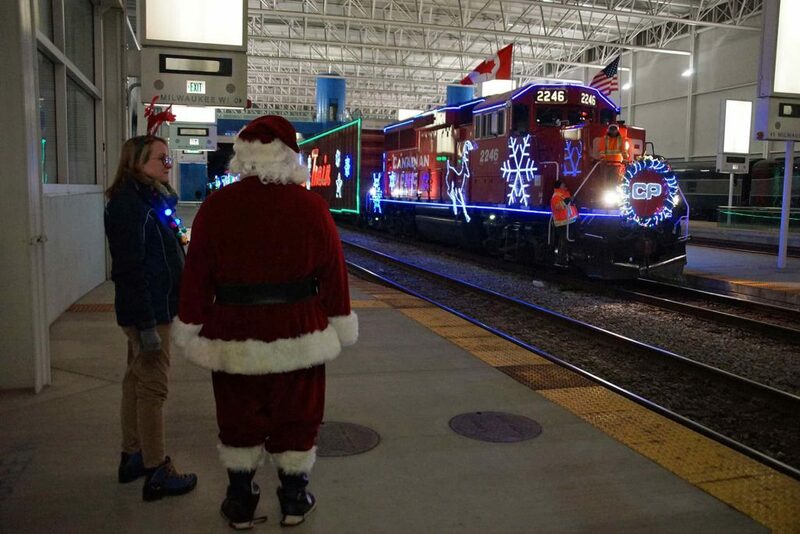 The efforts have since been used as a model for transformative commercial and community investments. 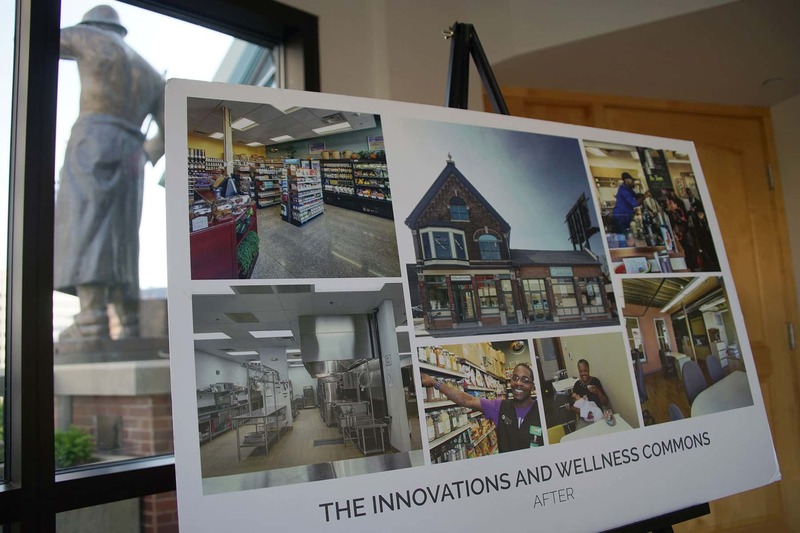 The Innovations and Wellness Commons is a $6 million, 20,00 sq. 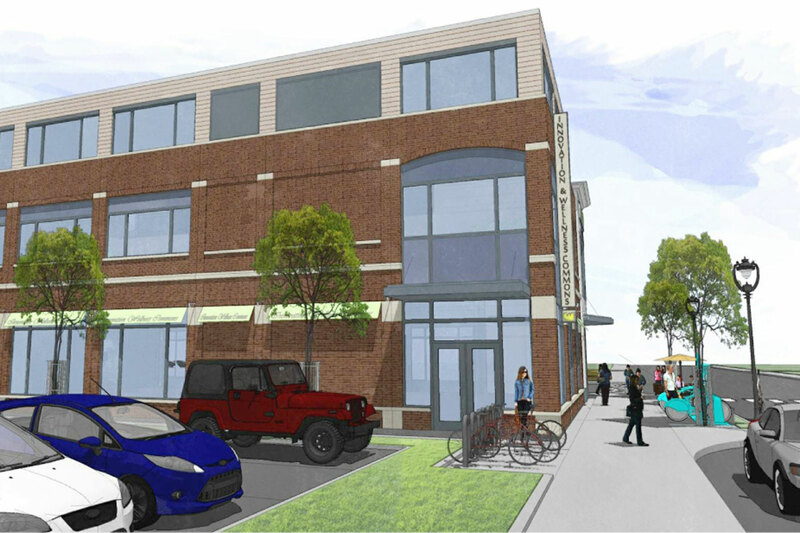 ft. multi-use commercial development driving the economic and environmental revitalization of the former commercial corridor. 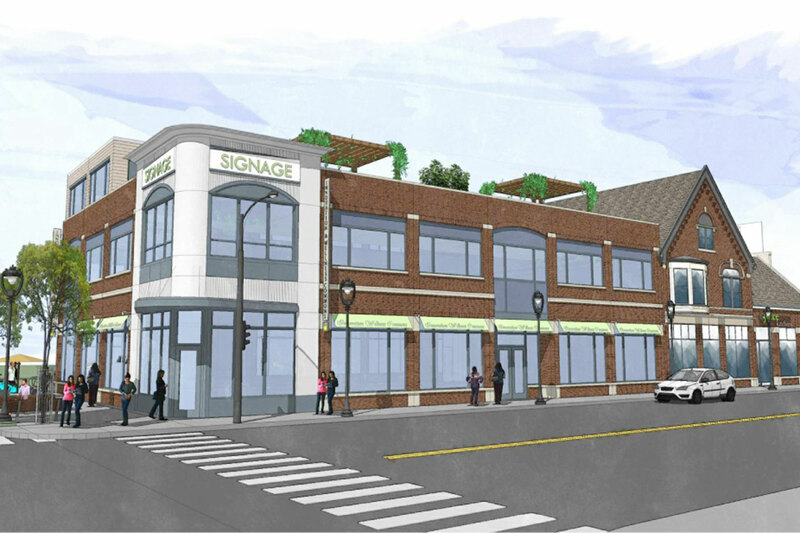 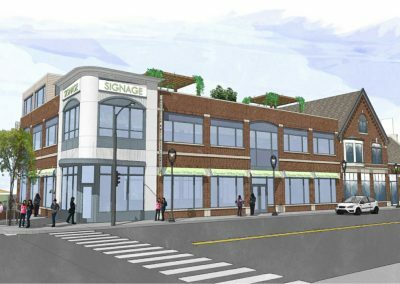 In Phase I, Walnut Way renovated a vacant building at 1609-1617 W. North Avenue and added a new 4,500 sq. 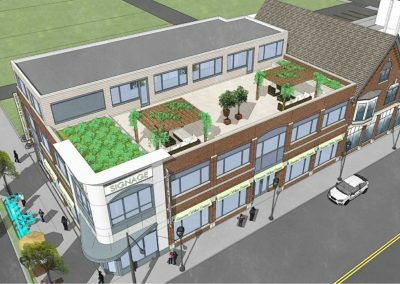 ft. building for a commercial kitchen. 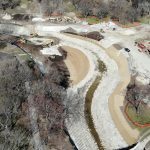 The focus was on creating a healthy food oasis for Lindsay Heights and surrounding neighborhoods, which was completed in October 2015. 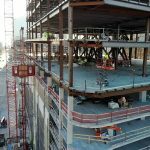 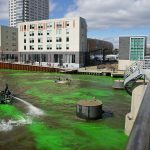 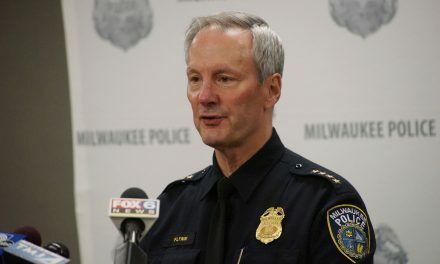 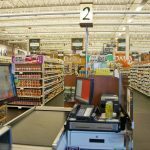 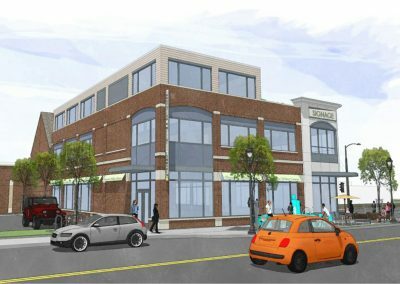 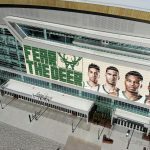 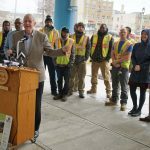 The four tenant-partners who lease the space are The Juice Kitchen, Outpost Natural Foods, Milwaukee Center for Independence, and Fondy Food Center. 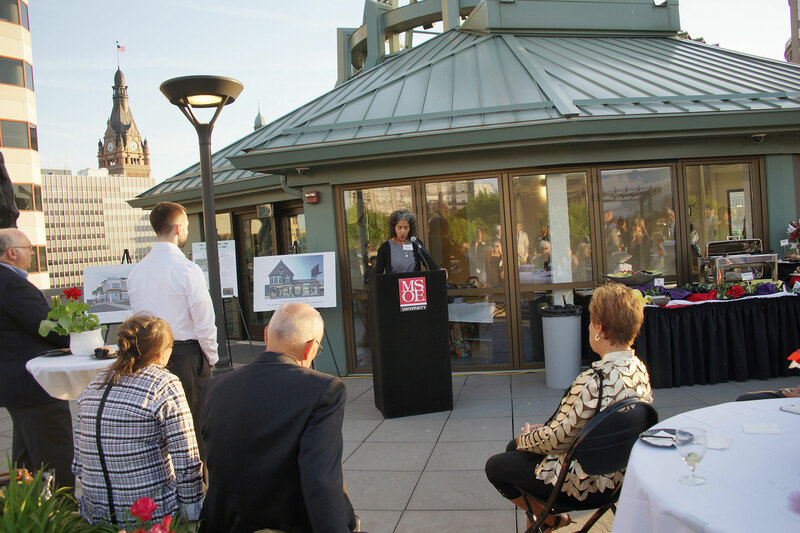 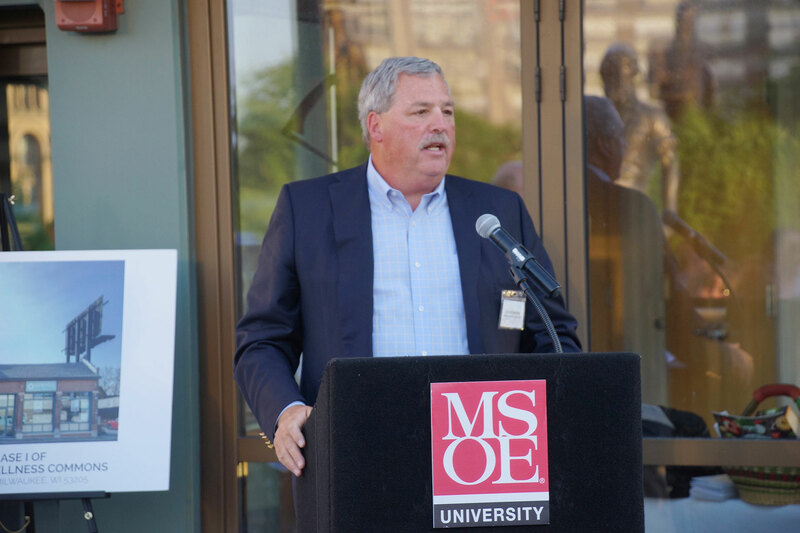 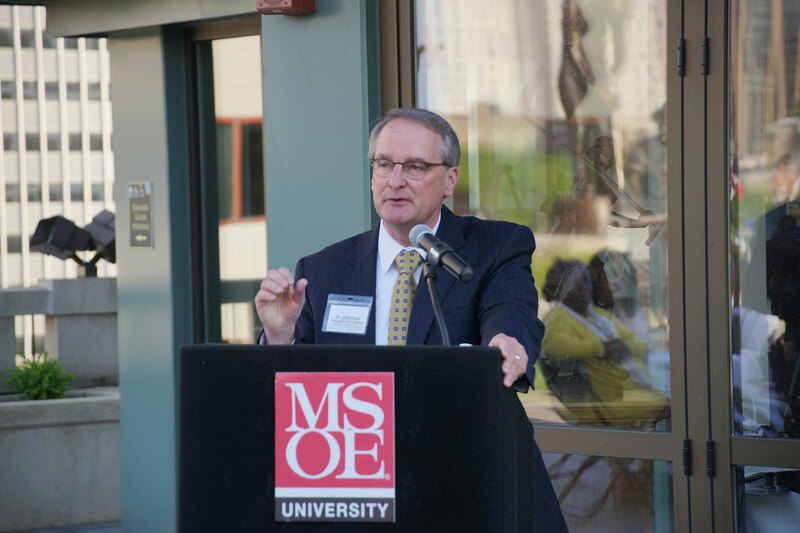 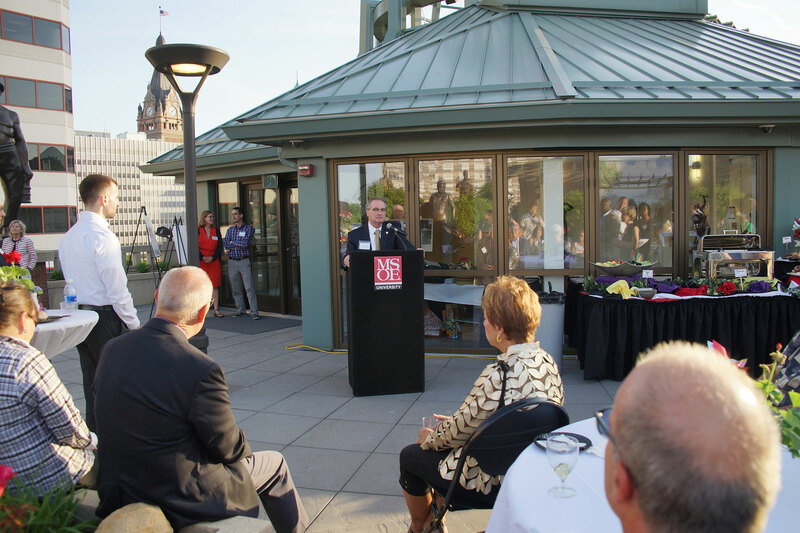 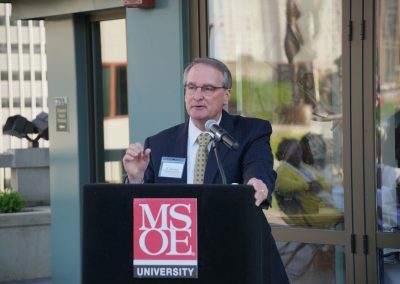 The MSOE rooftop location was a fitting event venue, since a major aspect of Phase II will be the Rooftop Terrance. 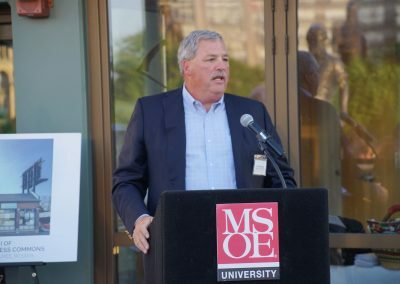 Walnut Way also announce plans to sponsor some of the 400 K to 12 students who will participate in the engineering school’s summer camp on its campus. 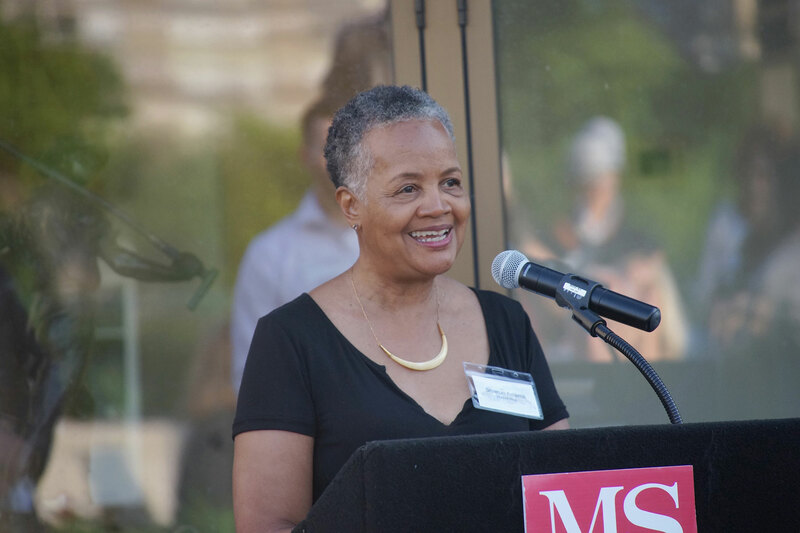 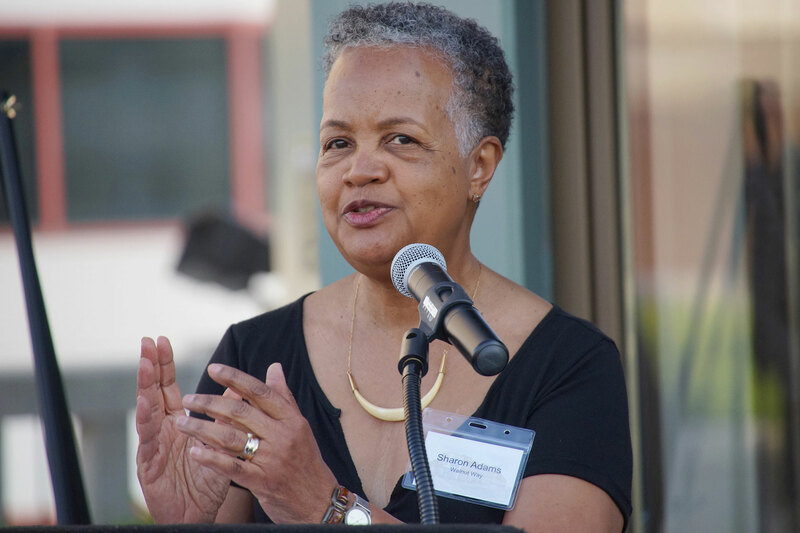 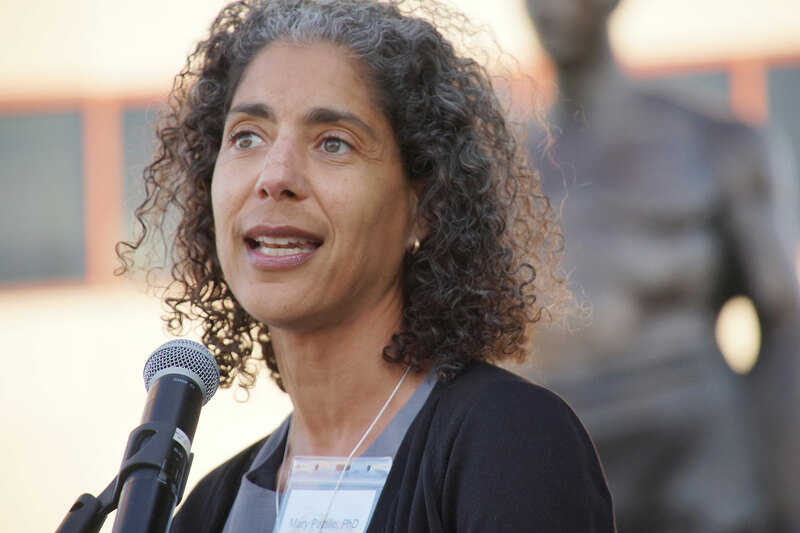 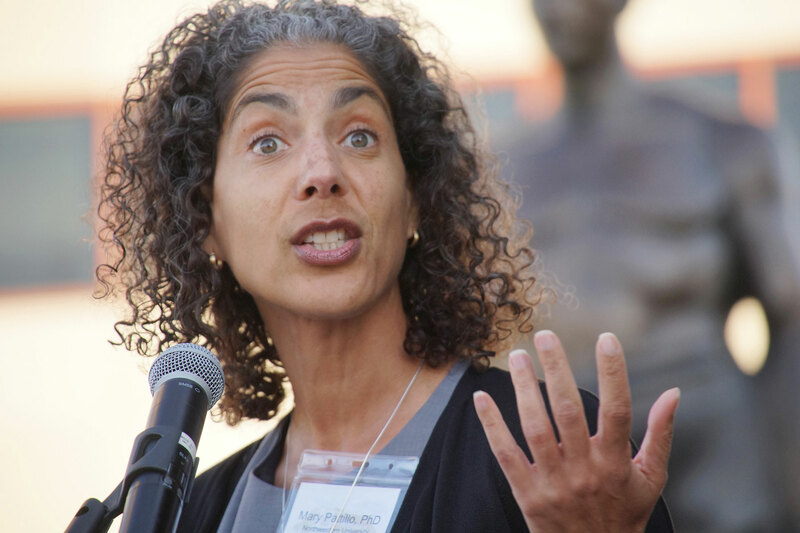 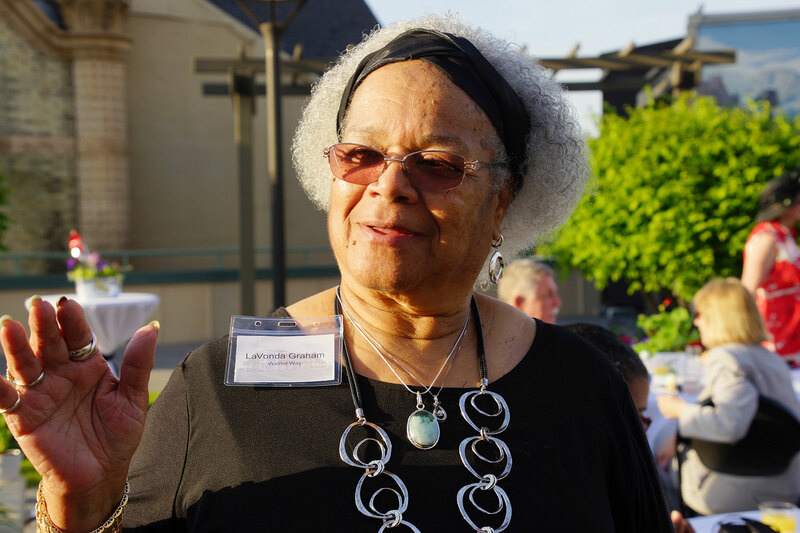 Keynote speaker at the fundraiser was Dr. Mary Pattillo, Professor of Sociology and African American Studies at Northwestern University. 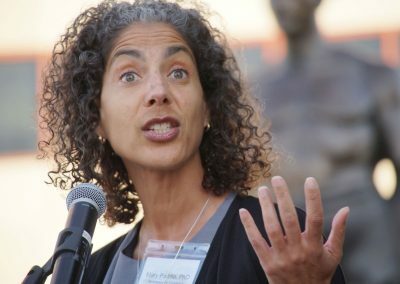 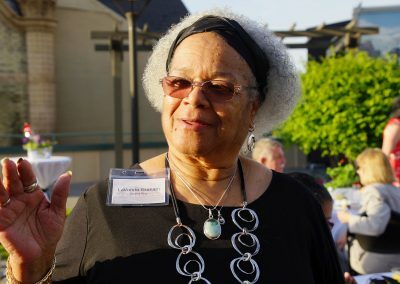 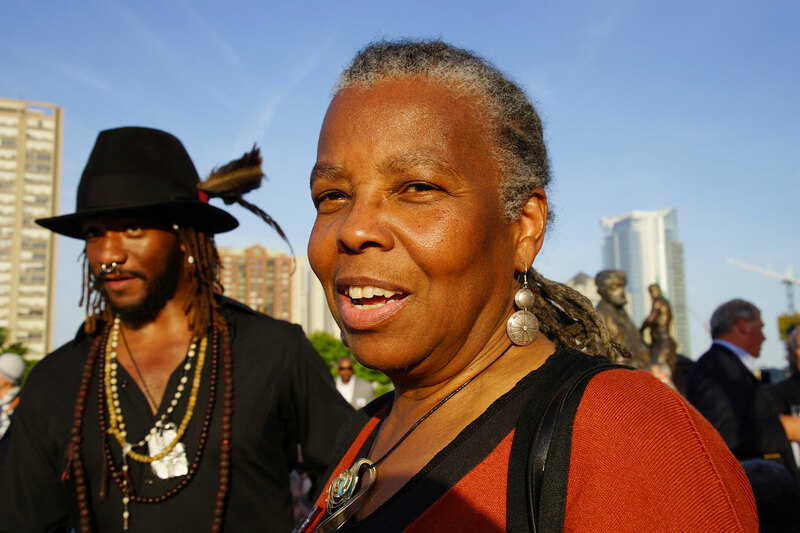 One of the groundbreaking books that she authored was “Black on the Block,” which focused on gentrification and public housing transformation in Chicago’s South Side. 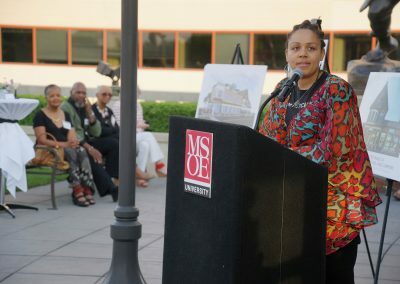 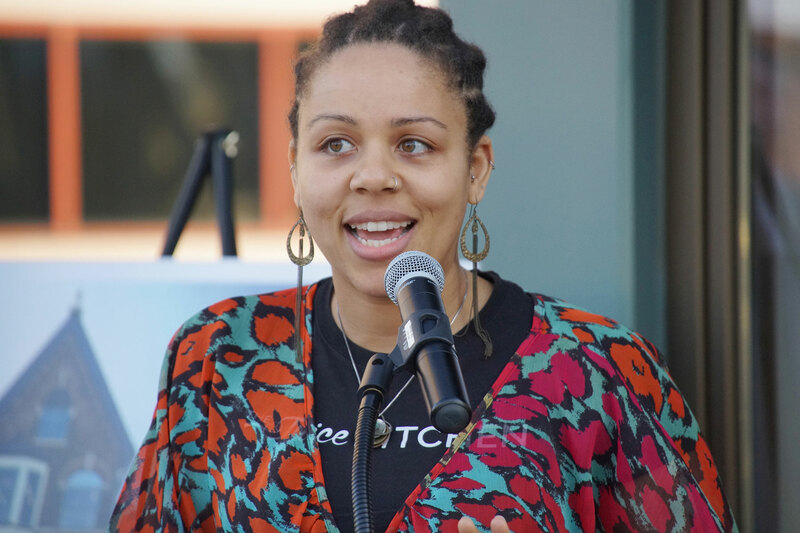 The noted scholar read several poems to share her insight, which highlighted an outsider’s view of urban black neighborhoods. Dr. Pattillo’s reading can be heard in the companion audio report.